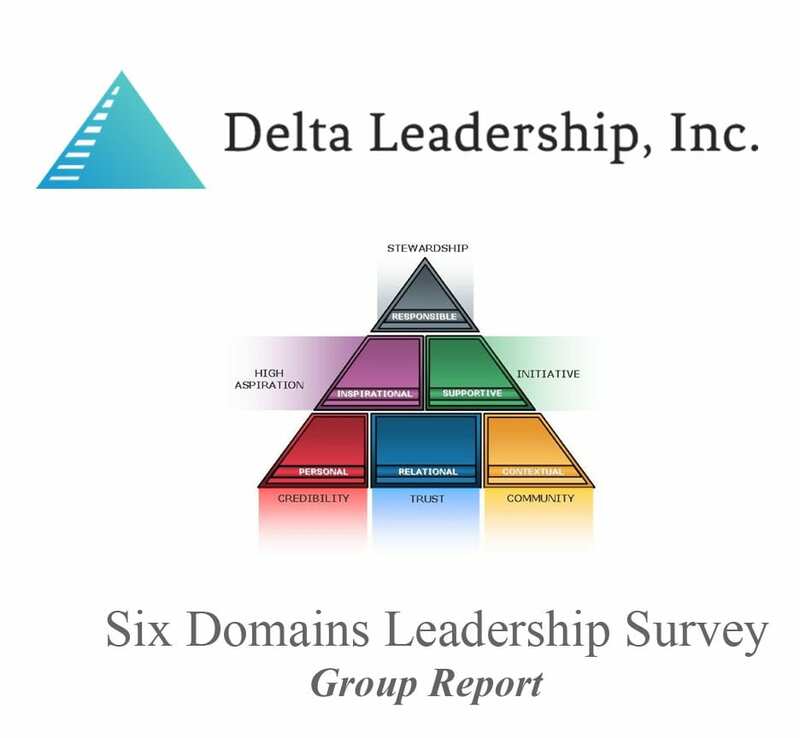 Delta Leadership has guided over 100,000 people in using the Six Domains of Leadership Survey to develop leadership skills that produce high impact productivity for themselves and their organizations. The Six Domains of Leadership Model (SDLM) is a research-based model created by Duke University professors Sim Sitkin and Allan Lind. Their initial research focused on leadership as the effective exercise of influence based on behaviors identified in social psychology, sociology, and political science – with some supplements from the leadership literature. What emerged was a distinctive leadership model, the Six Domains of Leadership Model. Each domain is characterized by its own subdomains and distinct effects that can form the basis for behavioral change and the development of new leadership skills. From the model, a Six Domains of Leadership 360° Survey (SDLS) was designed to provide both an individual and organizational pathway toward the creation of a culture of leadership, a culture that results in a common bond in the workplace and can positively affect productivity and successful outcomes. Sitkin and Lind have studied the effects of the model in their research, teaching and consulting in many countries around the world, in different industries and occupations, and in a wide range of professional levels within organizational hierarchies. While leader effectiveness can certainly be enhanced by personal traits like intelligence, oratory ability, technical knowledge, experience or social skills, at its core leadership is about exhibiting specific behaviors to influence others. Because it involves behaviors that can be learned, anyone can overcome limitations and leverage strengths by knowing what behaviors are required and by honing those skills to obtain the effects of good leadership. Whether someone tries to advise others to accept their guidance, when serving as a team leader, trying to be a good team member, or supporting one’s boss – in all of these situations, these leadership behaviors apply. They are easily adapted and applied at all levels of the hierarchy, in all types of organizations, and across national cultures. They are successful tools whether one is an introvert or an extrovert, always maintaining each person’s authenticity as an individual. And, finally, they apply whether one is leading up, down or laterally in a hierarchy. In fact, they apply at work, in family life, and in community efforts.